In the case of ivory and rhino horn, for example, as China and other Asian countries’ stores are filled with ivory trinkets or horn-based products, not many consumers are aware of the true cost of their purchase. While this trade drives the elephant and rhino population rapidly to extinction, an incalculable amount of human lives have been drastically affected as well. Behind a simple ivory trinket for sale in Shanghai or Hong Kong a person is getting killed in Africa, a wife loses her husband, a child becomes an orphan or a soldier. Ivory consumers and traders should be held directly responsible for these murders and the social destruction, as well as all those who facilitate the trade. 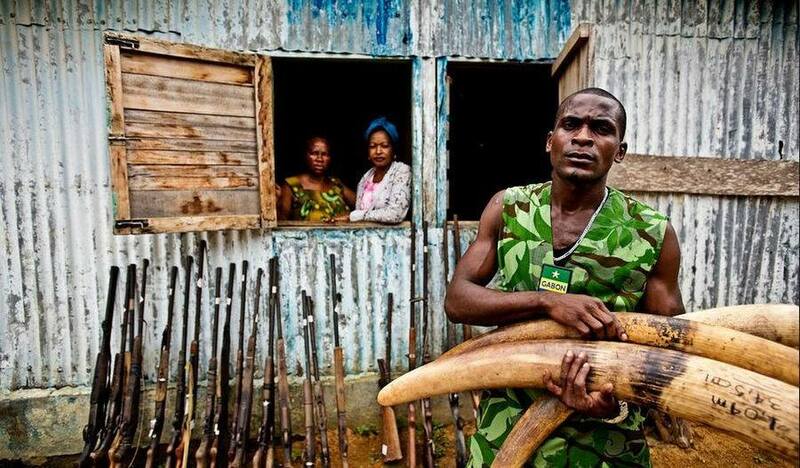 By trading and buying ivory they become facilitators of for those deaths. Human greed and the desire to make one’s social status known by placing an ivory trinket on display in one’s home have turned the continent of Africa into an extremely dangerous warzone. Forest Crime, which is the illegal logging and the international trade in illegally logged timber, also has a significant Human Toll as it impedes sustainable development in some of the poorest countries of the world. It costs governments billions of dollars, promotes corruption, and funds armed conflict. The loss of forests is responsible for up to 17% of all human-made greenhouse gas emissions, 50% more than emissions from ships, aviation and land transport combined. Illegal logging can also have huge financial implications for a country. According to a report by Human Rights Watch, illegal logging and forest-sector mismanagement in Indonesia resulted in losses to the Indonesian government of more than US$7 billion between 2007 and 2011. According to a report by Global Witness in 2012, industrial logging companies and officials are systematically abusing community logging permits in order to bypass the Democratic Republic of Congo’s (DRC) freeze on new logging concessions. DRC is the second most forested country on earth and 40 million Congolese depend on the forest for income, food, building materials, and medicine. However, decades of weak laws and poor governance have allowed logging companies to plunder the forests, with very few benefits reaching local communities. Global Witness reports that 90% of logging revenues in the DRC were lost to tax avoidance and other illegal financial arrangements in 2012. In the United States, the importation of illegal wood products artificially lowers prices of wood products by around $1 billion per year, threatening American jobs. The Environmental Investigation Agency (EIA) estimated that up to 80% of the hardwood harvested in the Russian far east is logged illegally, and accused the largest hardwood flooring retailer in the US, of heavily relying on Chinese suppliers that allegedly sell mainly illegally logged Russian oak. So forest crime is not only the result of illegal suppliers, but also of uninformed Western customers.